Ventosa Vineyards Saggio IX Red Blend (non-vintage) | Wine Splash! When you can’t make it to Napa or Bordeaux, then the next best thing is to visit your local wineries! The New York Finger Lakes is a 7 hour drive away from us but worth the time in its beautiful landscape and great tasting wines! Last spring, we went to the Finger Lakes and stocked up on wine from many different wineries. This is one wine that we wanted to let age for a year and is one of the last bottles from our 2012 Finger Lake Wine Adventure. The Ventosa Vineyards Red Blend Saggio IX (non-vintage) was worth the wait! In our glass, this wine was clear with a deep garnet color. On the nose, aroma’s of dark berry, plum, pencil shavings, and spice! On the palate, medium bodied, soft, with a nice tannin structure. Flavors of ripe blackberry, plum, clove, and spices greeted my taste buds! On the second taste, hints of mint, black raspberry, and a slight dustiness followed through to a long finish. We used a Vinturi to areate the wine which smoothed out some of the stronger tannins. But the finish still had a nice bite, which we like! This is a wine that would pair well with a grilled ribeye, spicy lamb, pasta with a tomato based sauce, eggplant dishes, and medium to strong cheeses. This wine was very nice and had a wonderful finesse about it! We give the Ventosa Vineyards Saggio IX Red Blend an 89 point rating. We liked the balance of flavors between fruit, spices, and herbs. 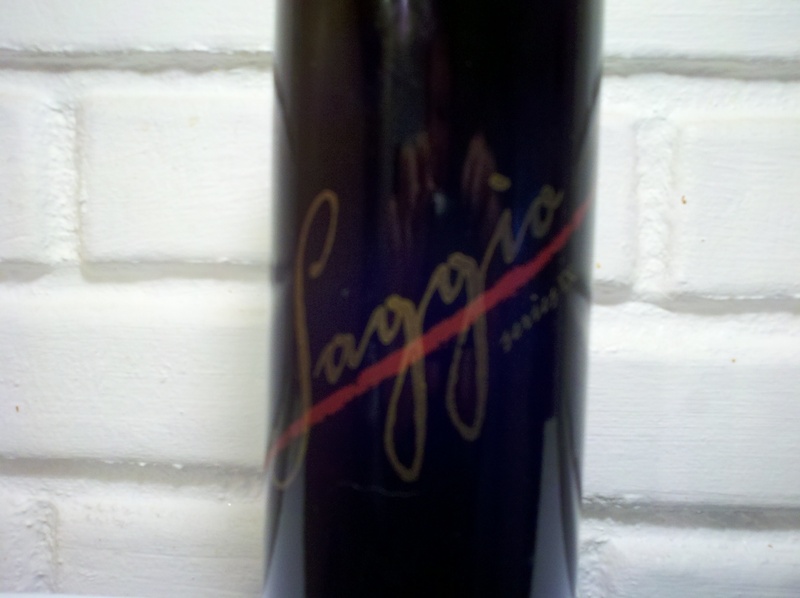 If you purchased a non-vintage bottle of the Saggio IX, we think you can drink it now or let it age until the end of 2014. WineSplashing! !